We started the day with a water explosion! (fizzy pop plus mentos = huge water geysir) This was a great shared experience that all the children really enjoyed and it was a great start to an exciting day. The weather watchers went on to their secret mission. 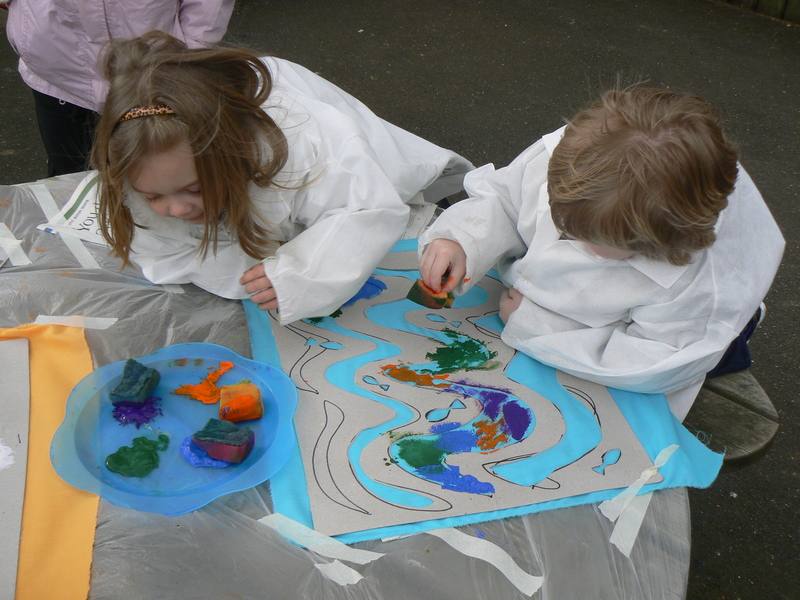 This session it was to create some patterned fabric, which would eventually become the sails on the boats they were making with Ian. 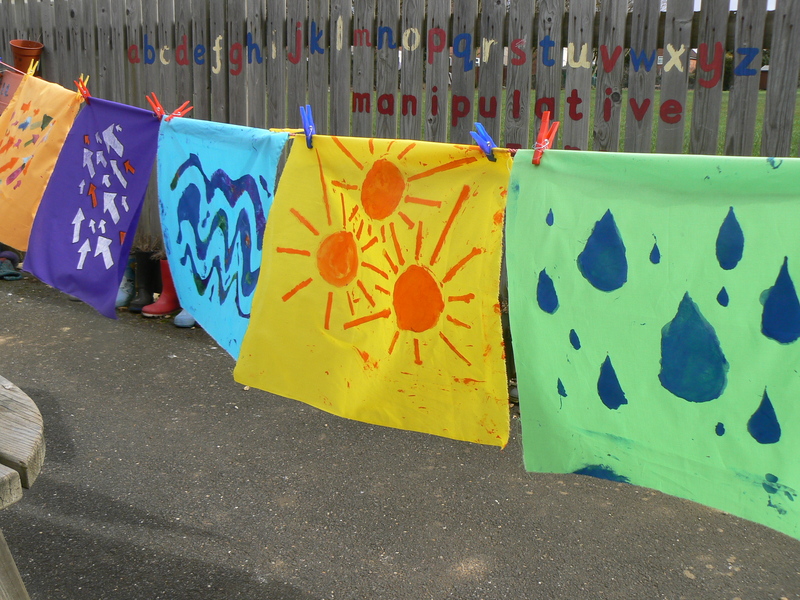 The children used simple printmaking techniques to create textile designs that re enforced our weather interest. 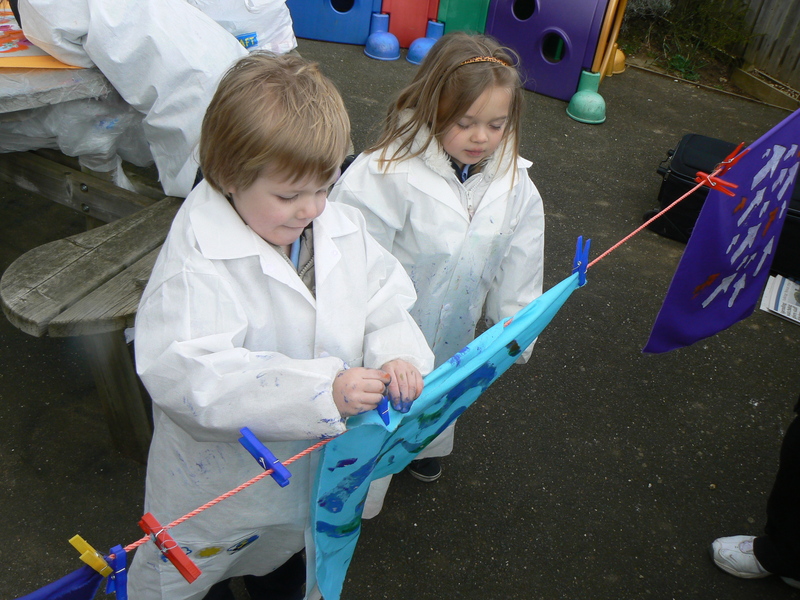 We even had a washing line to hang our finished work onto and the wind dried our designs off nicely. Next we decorated a chinese lantern which we hoped to fly at the end of the day. 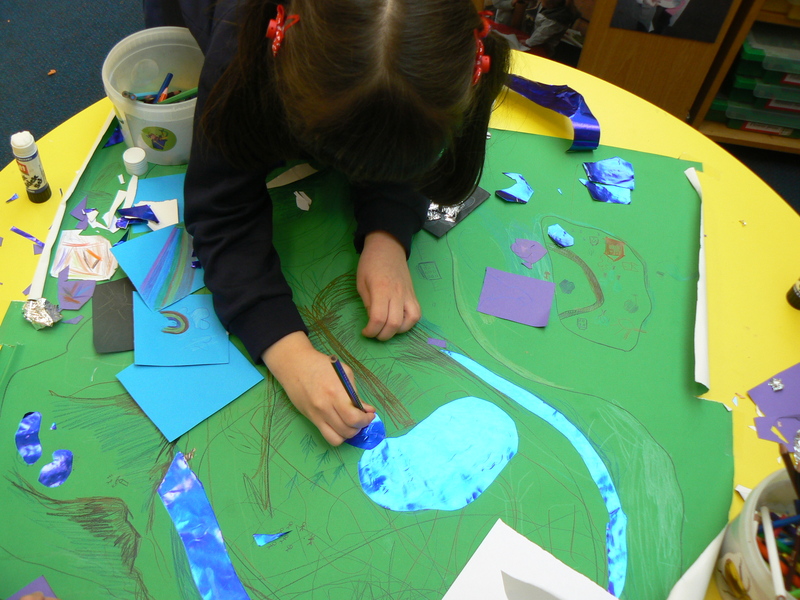 It looked lovely covered in bright, colourful rainbows, sunshine and the odd dinosaur! 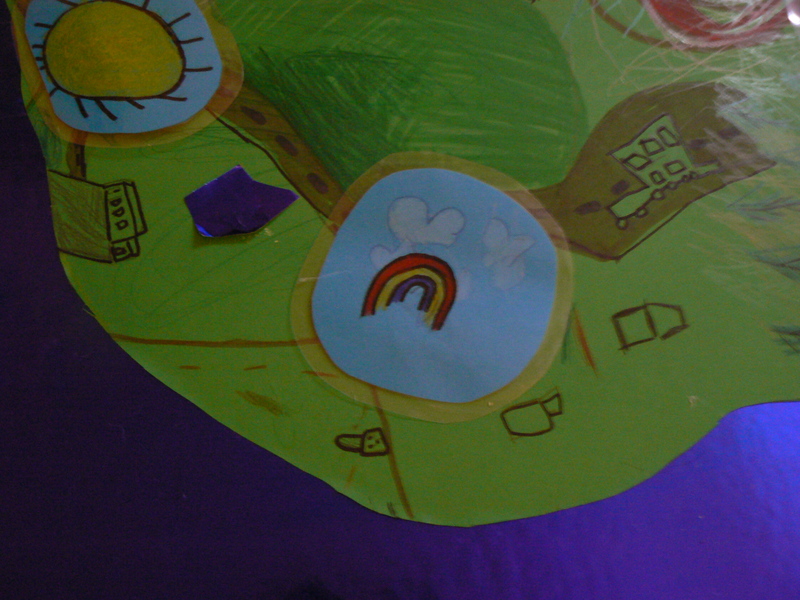 We had a chance to use our weather map we created during the last planning day. Matthew was there to capture this on film and I’ll look forward to seeing it. Anne-Marie is planning to share this with the rest of the class so they can all have a chance to be a weather anchorman or woman. At the end of the day we tried to fly our lantern but the wind was too gusty and after scaring some parents with fire we had to admit defeat. Ideas move quickly around here…. 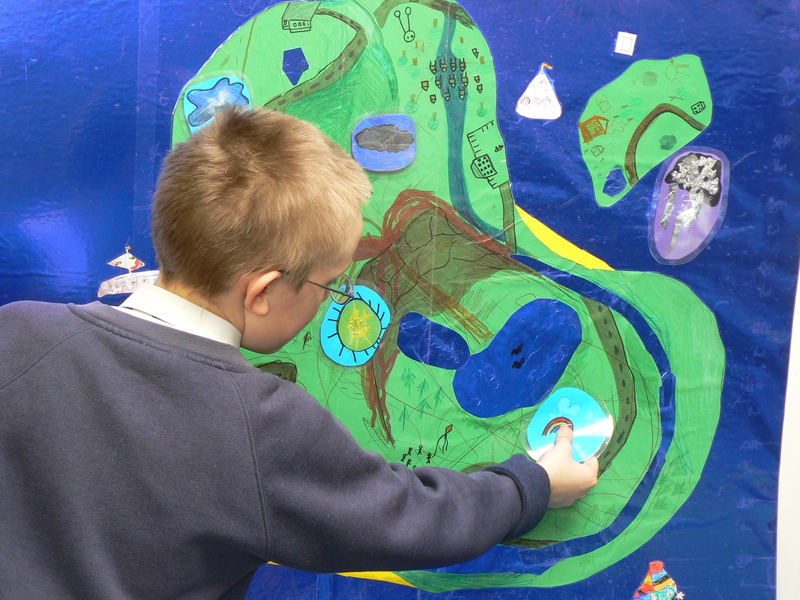 In our last training day at the Totem Pole we were invited to explore the areas as if we were the children. 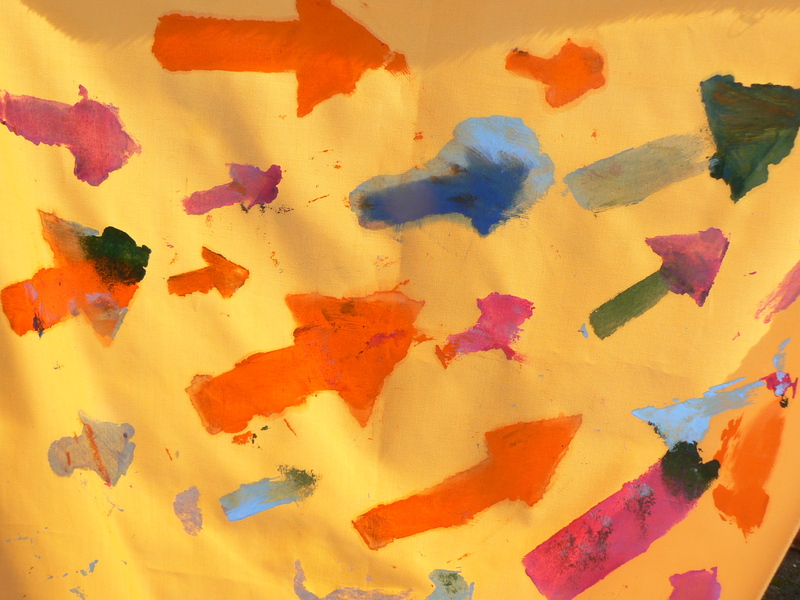 We all found something to enage with that ticked all the boxes in terms of learning. During a training day at St Mary’s I thought it would be interesting to put the weather watchers kit and role to the test. The children were given the box and we we left them to it, didnt give them a task or a “secret mission”. It took a while for the children to realise that they werent going to be given any instruction and had to think for themselves. They enjoyed exploring the box on their own. Then one boy had a great idea!! See how it developed below. 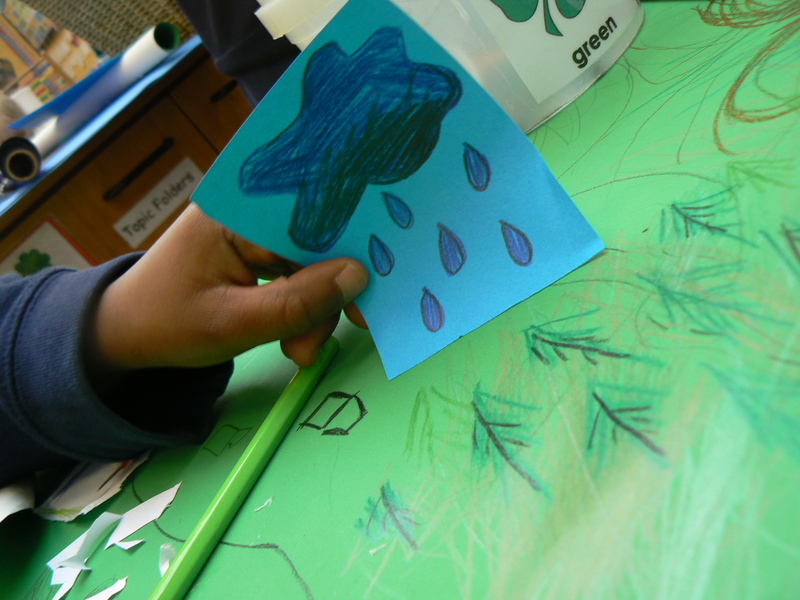 We went on to plan for the next delivery day, the children made a weather map and the weather icons to go on to it. We hope to film a weather report with it next session. 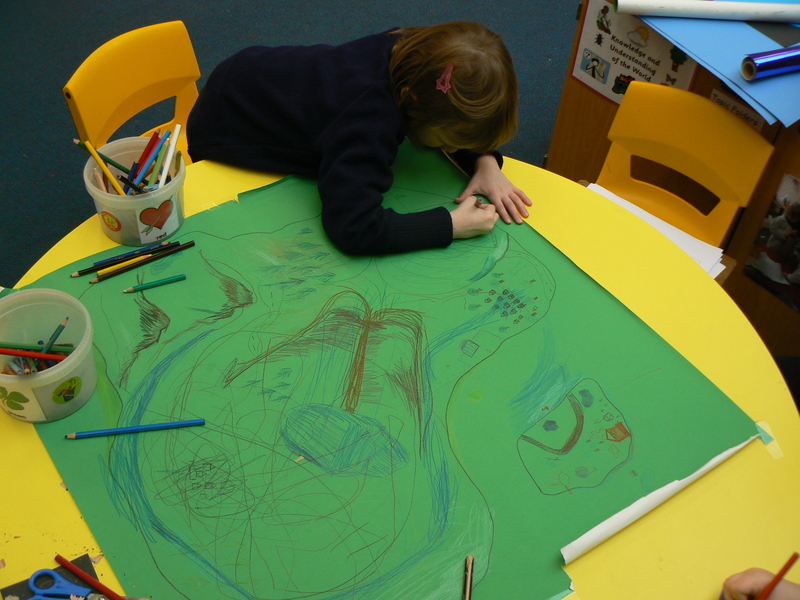 Ian talked about making boats for his next session. I was really excited about the opportunities for the weather watchers this could create. There is so much they could do with boats; create wind for them to move about, rain on them, create waves…. 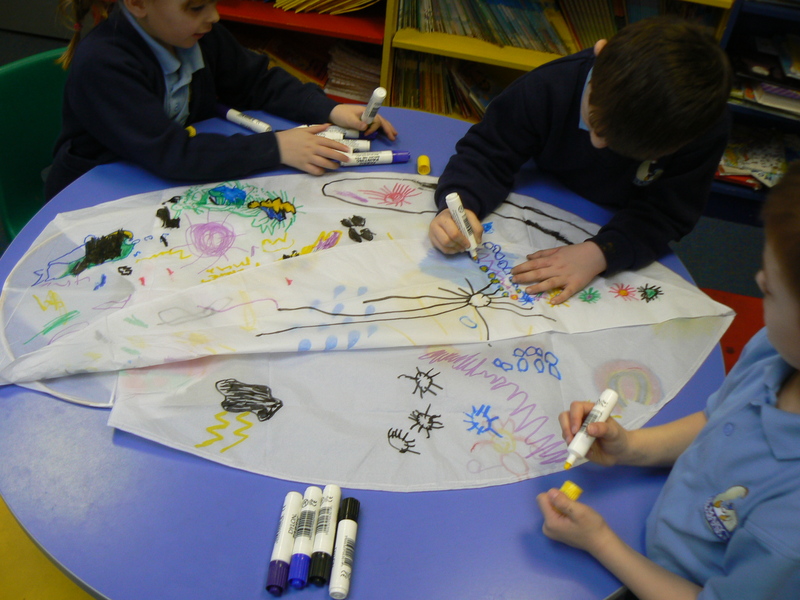 We thought it would be a great collaboration if the weather watchers were to make sails for the boats. The sails are weather catchers!